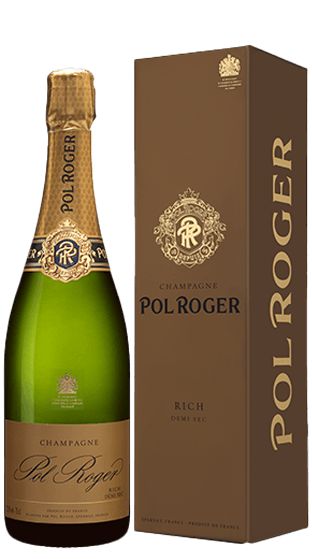 Tasting Note: Pol Roger's Cuvée Rich is a lovely yellow-gold colour with creamy bubbles. The nose is forward and elegant with notes of dried fruits, fresh cut flowers and spicy vanilla. In the mouth the wine is soft and balanced with hints of spice, fruit and caramel. The finish is long, complex and very pleasant.